This article describes the original emission sytems for 1967-1969 Camaros. These systems reduced exhaust and crankcase emissions to meet California and federal air pollution emission standards. The Air Injector Reactor (AIR) system pumped air into the exhaust manifold(s) to help complete the combustion process. 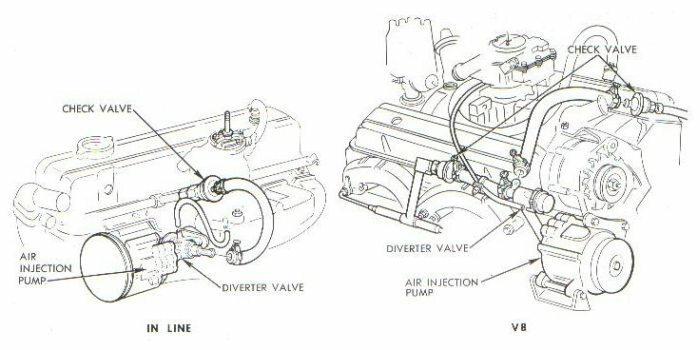 The AIR system consisted of the air injection pump (aka smog pump), a fuel mixture control valve (1967) or an air diverter valve (1968-9), check valves, air manifold assembly (aka smog tubes), and air injection tubes (one per cylinder). 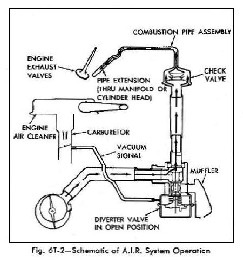 The Controlled Combustion System (CCS) was introduced in 1968 and was used on cars that did not receive the AIR system. CCS improved combustion efficiency via recalibrated carburetor and distributor settings and higher operating temperatures (compared to 1967). The higher operating temperatures were accomplished by using a 195°F coolant thermostat (instead of 180°F) and the use of a thermostatically controlled air cleaner (ThermAC). The ThermAC system was designed to warm intake air to 100°F when underhood temperatures were less than 100°F. It consisted of a damper door mounted on the snorkel of the air cleaner which directed warm air from a heat stove on the exhaust manifold into the air cleaner. The Positive Crankcase Ventilation (PCV) system utilized manifold vacuum to draw crankcase vapors into the engine to be burned. Filtered air was drawn through the engine, through the PCV valve, and into the intake manifold. In 1967 (as in 1966), emissions equipment was required only on cars sold in California. The California cars were fitted with an AIR system (Regular Production Option (RPO) K19), and the PCV system (RPO K24). All engines equipped with K19 had unique engine codes due to the required holes in the exhaust manifold(s). Also, the L26 (230 ci L6) engines with K19 used a different distributor and the L30 (327 / 275hp) engines with K19 had a different initial timing. Note that smog equipment was not required on cars built in California but intended for sale in other states. In 1968 and 1969, the California and federal emissions requirements were the same and all cars were built to the same 50-state standard. The AIR system was installed on all L6 cars with manual transmissions, all small blocks with manual transmissions, and all Camaros with big blocks. (Chevelles and full-size cars with the 396/325hp engine and TH400 transmission were the only 68-69 Chevrolet big block cars that did not have smog pumps.) Only the automatic L6 and automatic small block Camaros did not have smog pumps, instead they had the simpler Controlled Combustion System. Generally speaking, an automatic car required less aggressive emission control than a manual transmission car because the engine load (and carburetor fuel metering consistency) was more stable and predictable. In 1968, vehicles exported to Canada and other countries did not require the AIR system. RPO KD1 was used to delete the system (if it would have been so equipped otherwise) and 1/4"-18 NPSF straight pipe thread plugs were installed in the manifolds. It is unknown if a credit was issued on the Canadian window stickers for this delete. The Controlled Combustion System was still installed on the exported L6 automatic and small block automatic cars. In 1969, Canadian cars used the same emission controls as U.S. cars. PCV became standard on all Chevrolets in 1968 and is still used today on all cars. 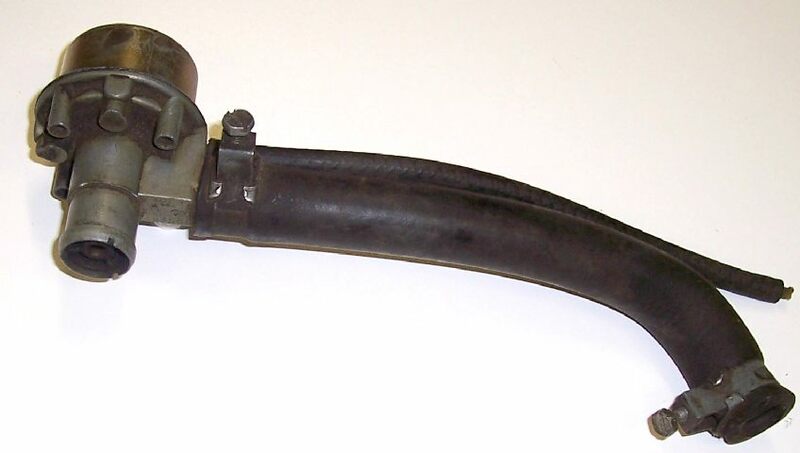 To prevent backfiring when there was a rapid increase in manifold vacuum (for instance under a decel condition), the 1966-67 AIR system fuel mixture control valve supplied the intake with extra air to lean out the air-fuel mixture. The approach was not very successful - it resulted in excessive popping noise through the muffler. In 1968, the system was redesigned to reduce backfiring (technically called after-firing because it was in the exhaust system) and to make it less complex. 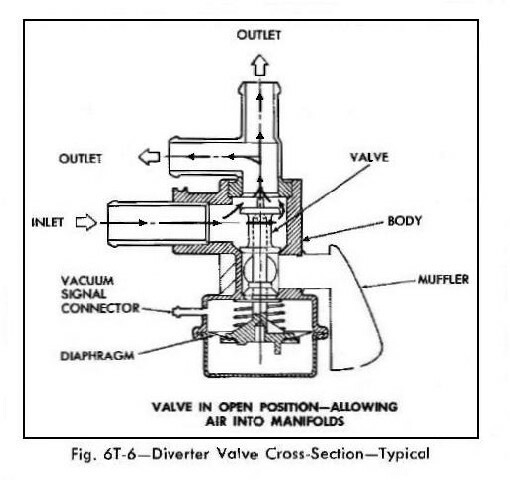 When there was a rapid increase in manifold vacuum, the diverter valve, used on 1968 and later systems, momentarily stopped air from being injected into the exhaust ports, thus preventing ignition of the richer exhaust gases. The 1966-67 AIR pump used filtered air from the air cleaner. The 1966-67 AIR equipped cars had unique air cleaners to provide this filtered air. The 1968-and-later air pump had an integral filter via the centrifugal smog pump fan. The air cleaners for 68-69 AIR equipped cars were different from the Controlled Combustion System air cleaners due to the ThermAC system on the CSS air cleaners. 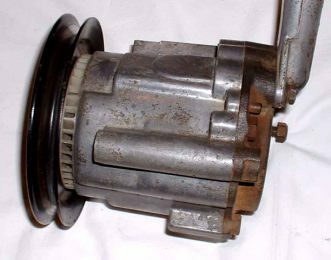 The 67 smog pumps were a serviceable 3-vane design and the pulley attached with 4 bolts. The redesigned 68 AIR system used a non-serviceable 2-vane design with 3 bolts attaching the pulley to the pump. 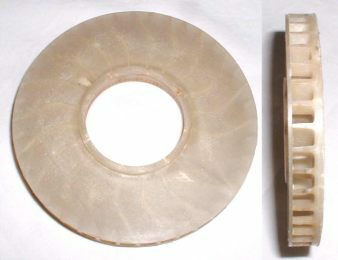 The 68 and 69 smog pump design was used through the mid-70's. 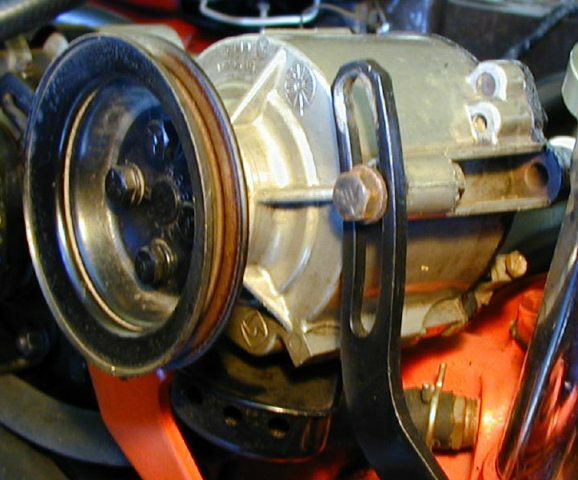 The pump housing was die-cast aluminum. The end section, casting # 7801149, is cast iron that was painted semi-gloss black. This casting was widely used, not only on Chevrolet vehicles, but other GM cars too. The machining was different for the other GM makes and will not fit Chevrolet applications. The 68 pumps used on Z28's and big blocks had a pressure relief valve installed on the side of the pump. The Z28 relief valve has a green plastic plug and the 396 relief valve has a black plastic plug The 68 pumps for L6, 327, and 350 engines and all 69-and-later pumps did not have the pressure relief valve on the pump; it was incorporated into the diverter valve. 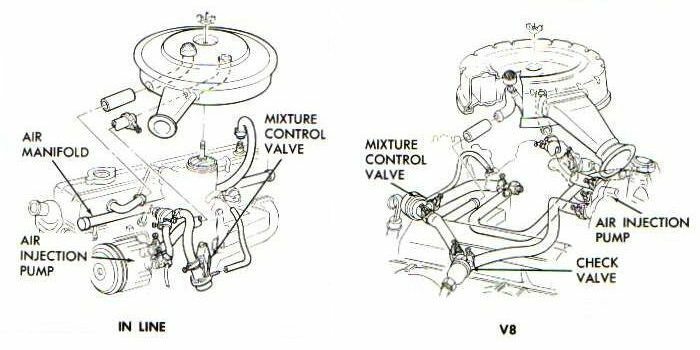 67 and 68 V8 pumps were either mounted high on the engine, in front of the intake manifold / carburetor (see 68 diagram), or mounted on the passenger side of the engine. In 1969, as part of the V8 engine layout standardization, the pump was moved to the passenger side, below the alternator. The date code is stamped on a pad on the side of the pump. The date code format is DDDY#P, where DDD = the Julian day, Y = the calendar year, # = 1 or 2, and P = is the configuration code of the pump. The meaning of # code is thought to be a shift code. 67 pumps were coded 1 or 2 and all 68 and later pumps were coded 1. The last digit is the configuration code of the pump. The 67 pumps are coded A and C. (67 Corvette pumps are coded P and are unique to that application.) The 68 pumps with a pressure relief valve installed in the pump were coded Y. Non-pressure relief valve 68 pumps were coded Z. 69 and later pumps (without a pressure relief valve) were coded S.
30681S = 306th day of (6)8, built without a pressure relief valve. A white smog pump fan was used on smog pumps from 68 to mid-72. Later pumps and service parts used a black fan (though the 68 and 69 service manuals show a black fan!). The pulleys used on the pumps are listed at CRG Pulley Usage. 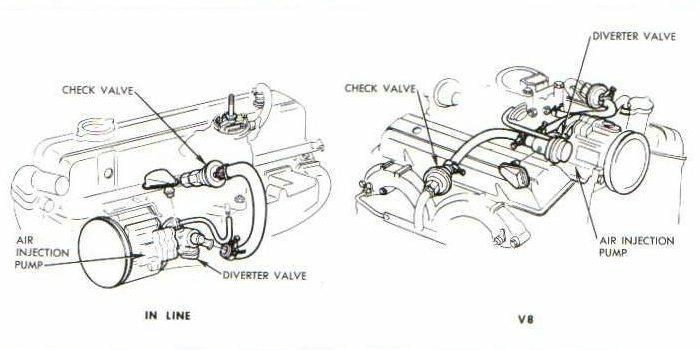 The fuel mixture control valve on 1967 small block engines was located between the distributor and the valve cover. It was mounted on a bracket which in turn was welded to the crankcase vent tube coming out of the lifter valley area at the rear of the block. The mixture valve on big block engines were mounted to a bracket on the RH valve cover. 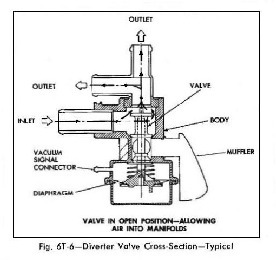 Diverter valves were mounted in multiple ways in 68 (directly to the AIR pump or via an elbow and hose - see the 68 Assembly Instruction Manual (AIM)). The various 69 Camaro V8 diverter valves were externally the same, but had internal calibration differences and hence different part numbers. 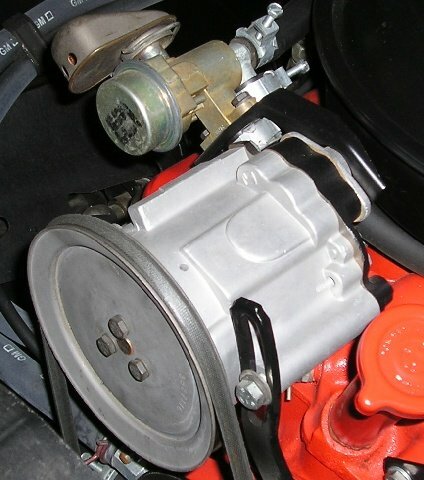 (Note: Other diverter valves (e.g., 69 truck) may look very similar to 69 Camaro V8 valves, but may have a different output housing or output housing orientation.) 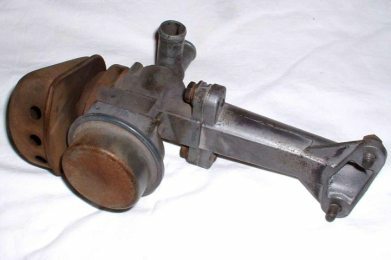 As part of the engine layout standardization, 69-and-later Chevrolet V8 cars used a 3942533 extension to connect the diverter to the pump. Most diverter valves in 68 had a detachable muffler (via a removable clip), though a few have been observed with the muffler crimped on. 69-and-later mufflers were crimped on. The mufflers were plated with gray phospate. The last five digits of the diverter valve part number were stamped on the diverter valve mounting flange (as shown in the picture above). The broadcast code was ink-stamped on the diverter valve; the codes are shown below. 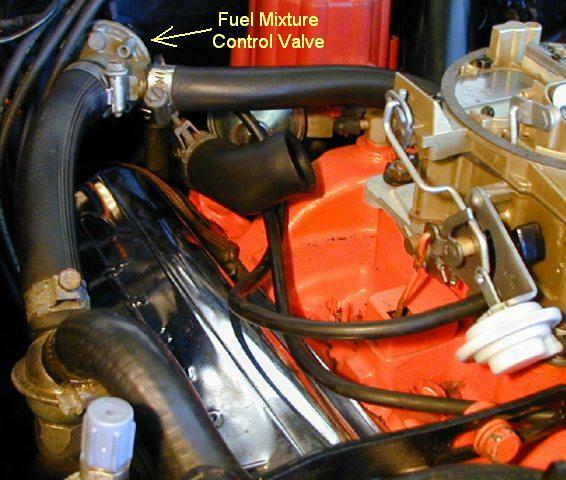 Note that the 67 Assembly Instruction Manual shows the incorrect part # for the 67 Z28 fuel mixture control valve - the correct number is listed below. The 68 AIM also lists different part numbers than other 68 supporting documentation. The 68 AIM part numbers are believed to be correct. 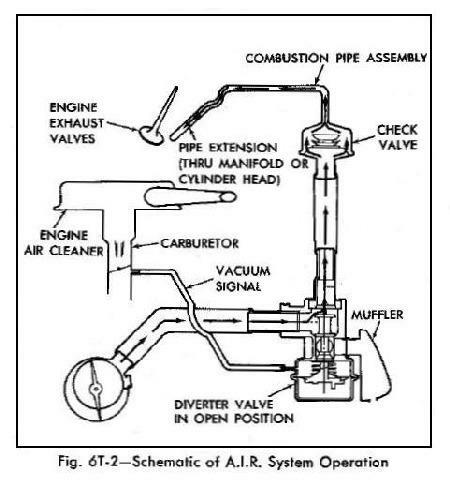 In 67, the smog pump was connected to the backfire check valves. 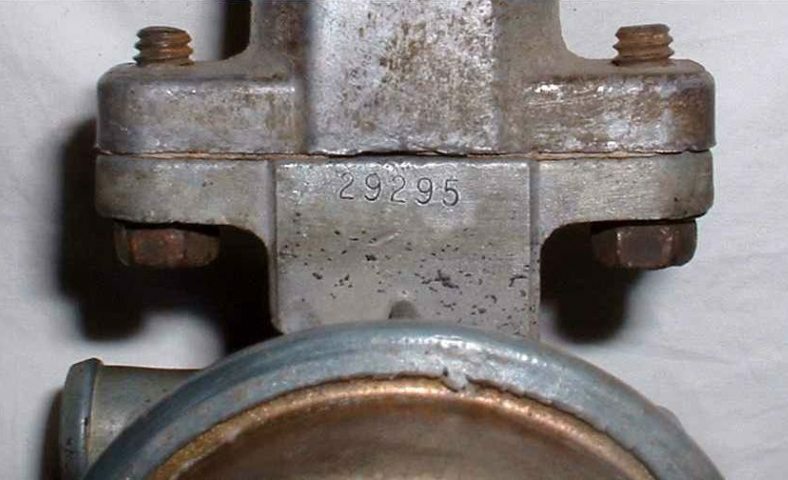 The left check valve is part # 5354987, while the right check valve is a Y shaped valve (part # 5354988) which also was connected to the fuel mixture control valve. In 68-and-later cars, the output of the smog pump went through the diverter valve first, then to a backfire valve mounted on each air manifold. The 68-and-later backfire check valves are part # 5361992 and are gold cadmium plated. The air injection tubes were short pipe extensions (2-13/16 inch long) that were installed before the air manifold was installed. The air manifolds have a greenish/blackish coloration. On the L6 engines, the air manifold installed in the L6 head. On the V8 engines, they were installed into the exhaust manifolds. The threads in the exhaust manifolds for the air manifolds were 1/4"-18 NPSF straight pipe thread.